Re-ordering from your history in My Account Phone or offline orders? Use our Basic Reorder page. 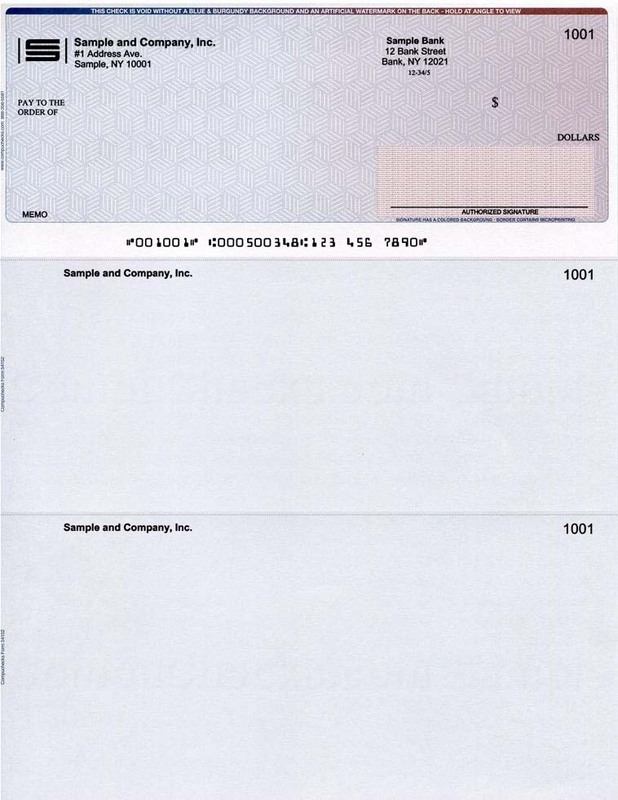 Re-ordering checks is easy. Just sign in to your account. If you don't yet have an account, you can register here. Sign in to your Account to quickly re-order checks and accessories from your order history and more. Contact us at any time for assistance. See the current shipping status of your order. Call or Email us anytime for assistance. You can expect a prompt and professional response! Available in 3 Packages. Compatible with Quicken™ / QuickBooks™ software. Shipped within 24 - 48 hours. Note: If you are not a Quickbooks/Quicken user, Click Here for our other starter packages. Please complete required fields and information to be printed on your checks. Please complete required fields and change any field that is different from your previous order. Available loose and in books of single (white sheets), duplicate (white + yellow sheets), and triplicate (white + yellow + pink sheets). For use with QuickBooks/Pro 99 and above! Automatically print the information on these Deposit Slips along with a deposit summary stubs. 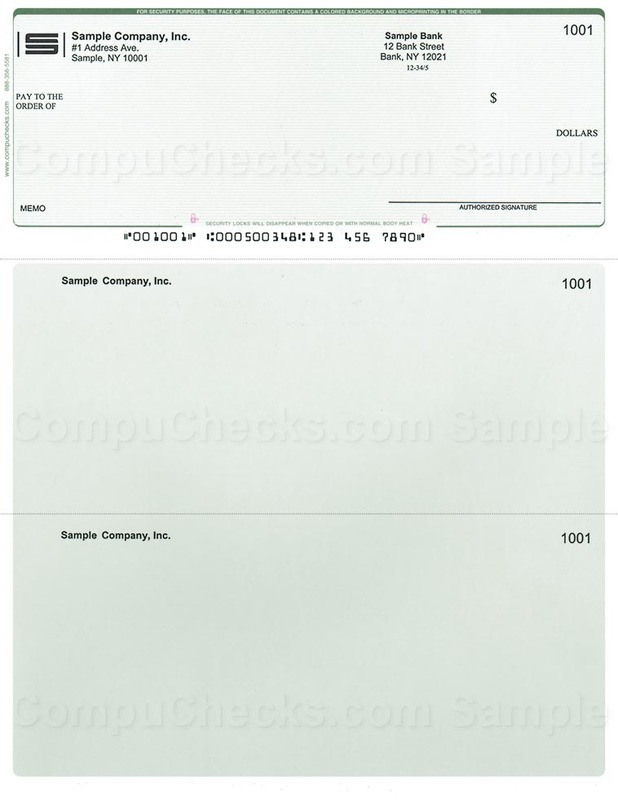 To ensure accuracy of your order, we recommend submitting a voided or starter check / deposit slip. If you are using a check layout not listed in Step 2, you can provide a scanned check and we will recreate your layout. on your checks (Black ink). Directions for sending logo: Save your logo in BMP file format, place your order, then email your logo to: logos@compuchecks.com. Please include your order number in your email. Logo must be e-mailed within 12 hours of order - if failed to receive, order will be processed without logo. 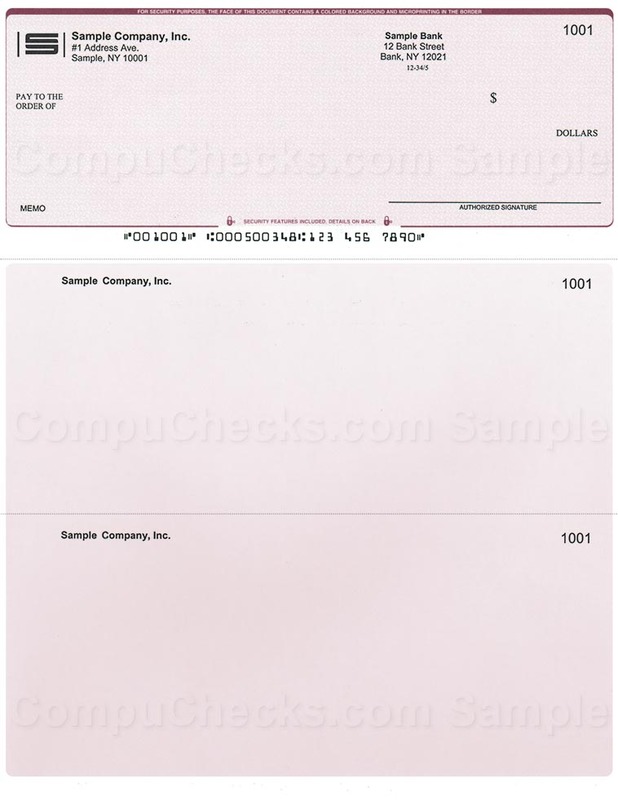 Lines are printed on the check next to "Pay to the Order", "Amount", etc.. allowing you to complete the check by hand. Compuchecks Matching Deposit Slips for this Order! Triplicate three part (white + pink + yellow sheets). Compuchecks Matching Printable Deposit Slips for QuickBooks for this Order! For use with QuickBooks/Pro 99 and above! Automatically print the information on these Deposit Slips along with a deposit summary stubs. All our envelopes are tinted for security purposes and designed to fit your checks. 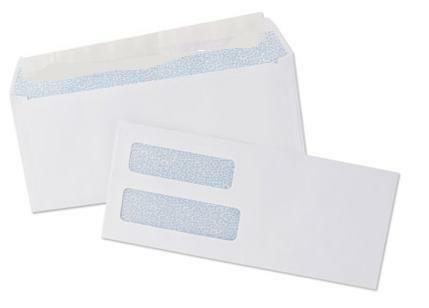 Traditional gummed envelopes that seal with moisture. 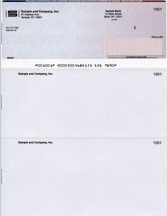 For large quantities, use a wet sponge or use Self Seal envelopes. No water or sponges required. Simply remove protective liner, fold flap, and press for a quick secure seal. Save 15%! 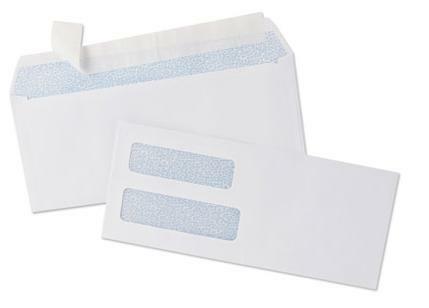 250 Self Seal for $24.64 (Reg. $28.99) Save 15%! 500 Self Seal for $41.64 (Reg. $48.99) Save 15%! 1000 Self Seal for $75.64 (Reg. $88.99) Save 15%! 2500 Self Seal for $160.64 (Reg. $188.99) Save 15%! 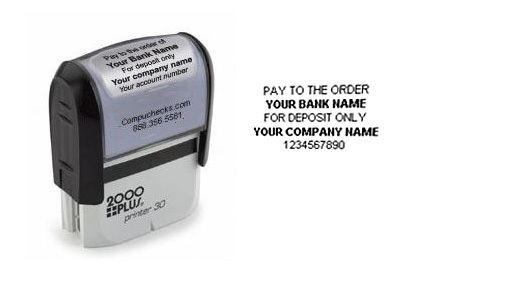 Add Matching Stamps to Your Order - No Inkpad Needed! 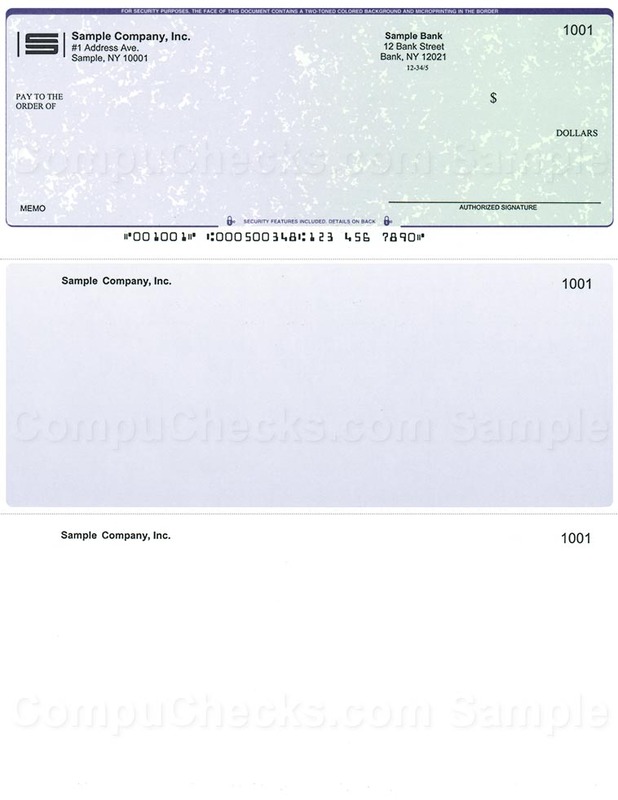 Forget writing your check, deposit or bank information over and over! 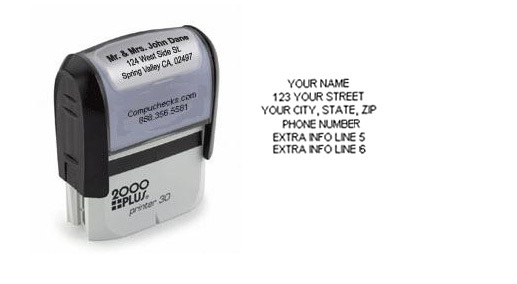 Order endorsement stamps and make your life easier. Compuchecks.com is proud to offer you custom endorsement stamps to meet your needs. Want to save time signing checks and other documents? 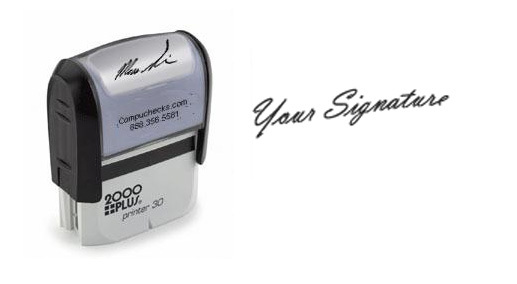 Order this custom Signature Stamp and have your signature turned into a convenient stamp. First place your order then attach and send your scanned signature to stamp@compuchecks.com. 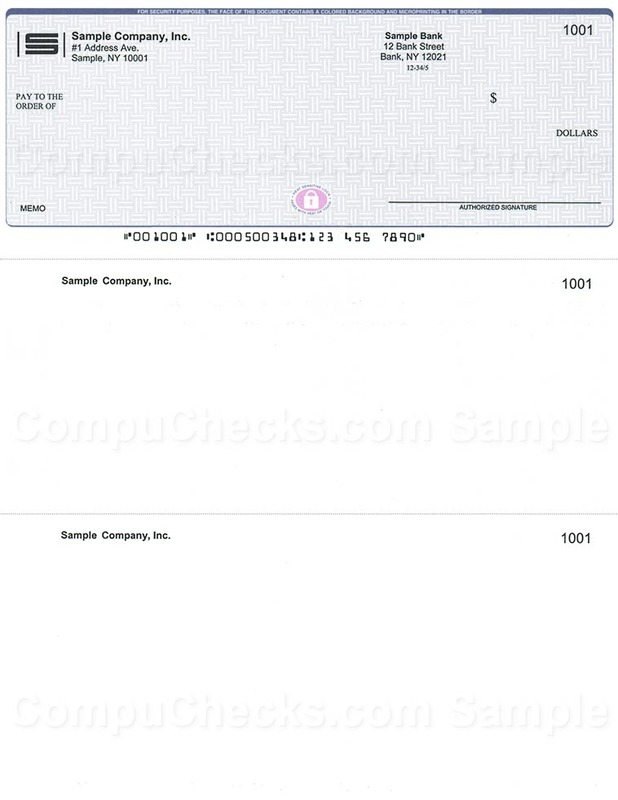 users or other business checks for different software, we have the computer checks and laser checks you need. Great prices and selection! 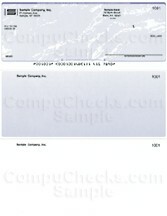 Browse above for more information on rates and how to order. © 2010 Compuchecks.com. Website Created by Shining Media. Visit our sister site formsandchecks.com for blank check paper.